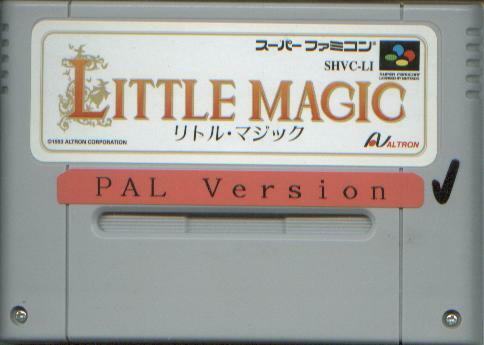 Little Magic was released in Japan, and it appears that the game was planned to be released in Europe. A prototype of the unreleased European version was found by MattyXB, who also released the ROM image. 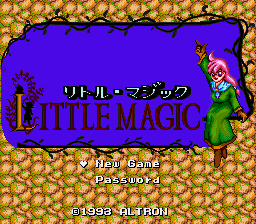 Little Magic was released in Japan by Altron. 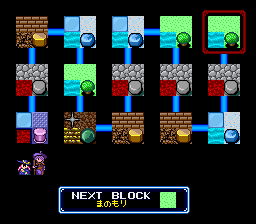 This game is a simple puzzle game where you must move a magic stone to a goal in order to open up the exit door. A prototype of the English version of the game, intended for release in Europe was purchased by Digital Press user "MattyXB" in 2005. He bought it off a seller in Switzerland. MattyXB dumped and released the game, while d4s edited the ROM image so that it was in a proper ROM format. 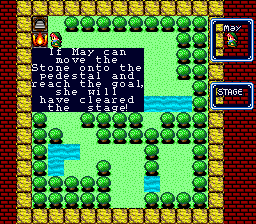 Before the prototype was found, Aeon Genesis released an English translation patch of the Japanese game. The prototype is hosted in a shell of the Japanese version of the game. A sticker on the front is the only thing that would tell you it is the PAL prototype. 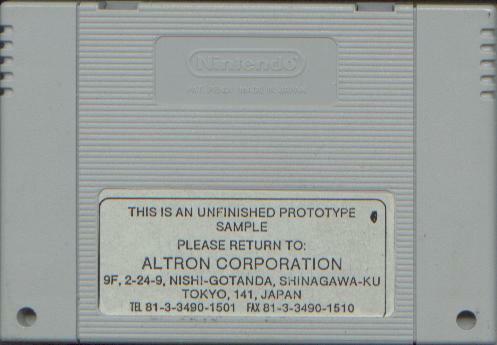 On the back, it has information on Altron. 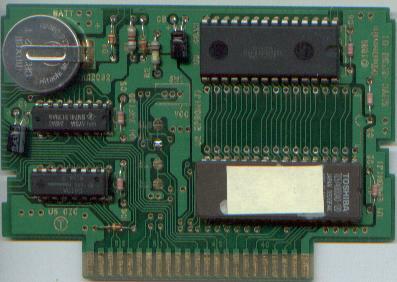 The board features a single EPROM and SRAM (even though the game itself does not use battery backup). 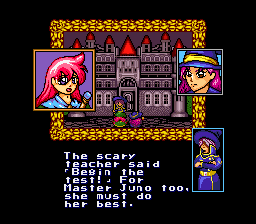 Little Magic is a game about a student witch named May, who is about to take a test at magic school. There isn't much more to the story than that. The game is a Lolo style puzzle game, where you must push a magic stone to a goal. 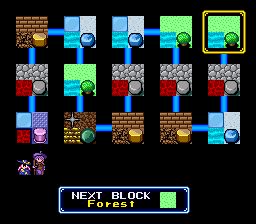 The controls are pretty simple, you can use "psychic power" to push objects one tile ahead with the A button, and shoot a magic ball with the B button to push the stone from a further distance. If you push the stone somewhere you cannot move it, you must commit suicide by pressing the select button. The graphics in the game are almost NES-like, and the music is charming, if not simple. 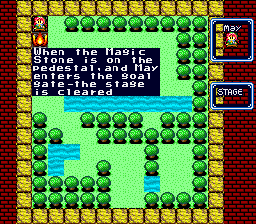 I found the game to be pretty easy, but it certainly would amuse fans of Adventures of Lolo. 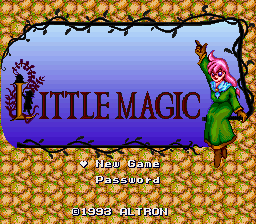 In 2001, translation group Aeon Genesis released a translation patch of Little Magic. 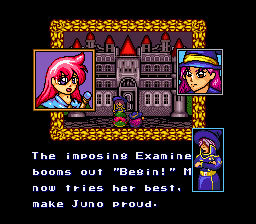 The translation isn't all that different than the prototype English version, though the formatting of text is a bit better (in the prototype, an image of the headmaster witch blocks some of the text). 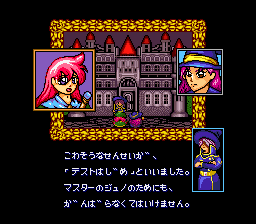 The translation patch does not remove or translate the Japanese text at the title screen, unlike the prototype. 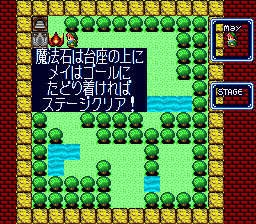 Since the gameplay doesn't really require any dependence on the text, it does not really make much of a difference whether to play the fan translation of prototype.